I looked around some and didn’t see one for sale online. Maybe I missed one somewhere. But I would like to buy an extended thumb safety that came from Springfield Armory. One that would match the one on the Range Officer Model. If you have one in a parts bin and wouldn’t mind selling it to me then let me know please. Or if you have recommendations as to what brand has a really good look-alike then I’m open to suggestions too. Thank you. Just to get it right. 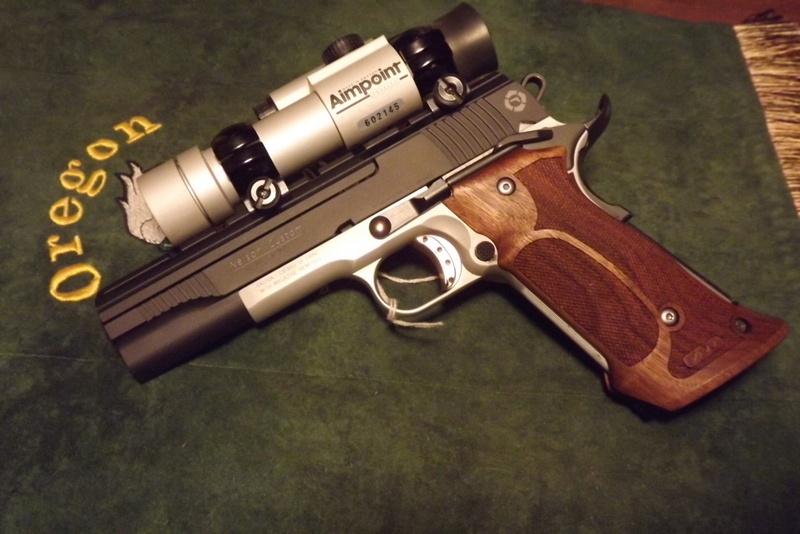 Your looking for a safety like the one on this S&W? FYI. I know you like Herrett Nationals but they won't work on an RO with that safety. A little juggling was required. Thanks Len I switched to slab sides some time ago. I still have them on my 41 only and I may switch that too. 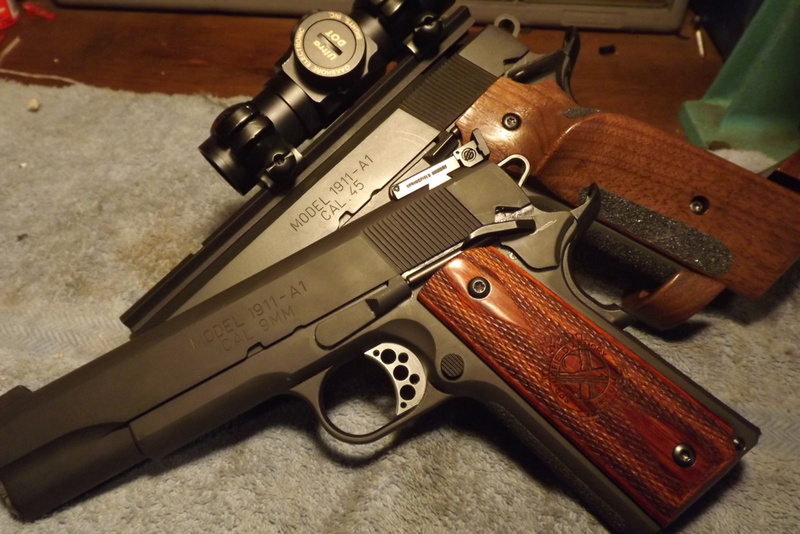 But yes after looking back and forth between your Range Officer pictured and your Smith and Wesson/Nelson I think thats what I'm looking for. Thanks. Jason, I will look at the SA booth at comm row and grab you one today. SmokinNJokin wrote: Jason, I will look at the SA booth at comm row and grab you one today. They left on friday. Sorry, i tried.